I have travelled to Miami on numerous occasions over the years and have stayed in a variety of the hotels in the South Beach area. 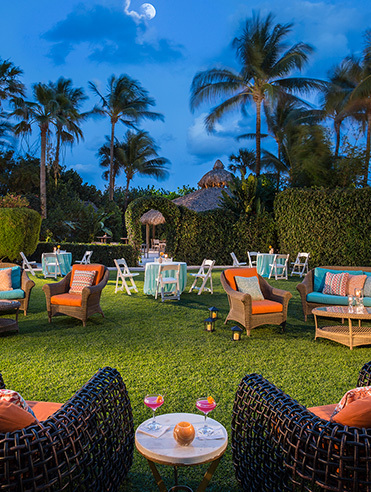 The Palms Hotel and Spa is a tropical oasis in the middle of the uber modern and hip South Beach. I was so happy to find this area of peace and tranquility, with the pool surrounded by flora and fauna and some natural sun protection rather than the standard open pool area with sun shades and minimal foliage. I felt like I was in a completely different place to my actual location. The staff at the hotel are extremely helpful and do everything possible to make your stay as restful and enjoyable as possible. The Grand Tiki perfect for al-fresco breakfasts or brunches, cocktail receptions or elegant dinner functions. This restaurant demonstrates the farm-to-table concept of cooking whilst creating local Miami cuisine. The fresh food has a vegetable focus whilst serving local fish and other seasonal produce. The herbs are collected from the organic Chef's Garden and the wine list is 100% sustainably or organically farmed. It's a great place to visit whether or not you are staying at the hotel. I cant wait to go back and try some more of their delicious food the next time I am in Miami. 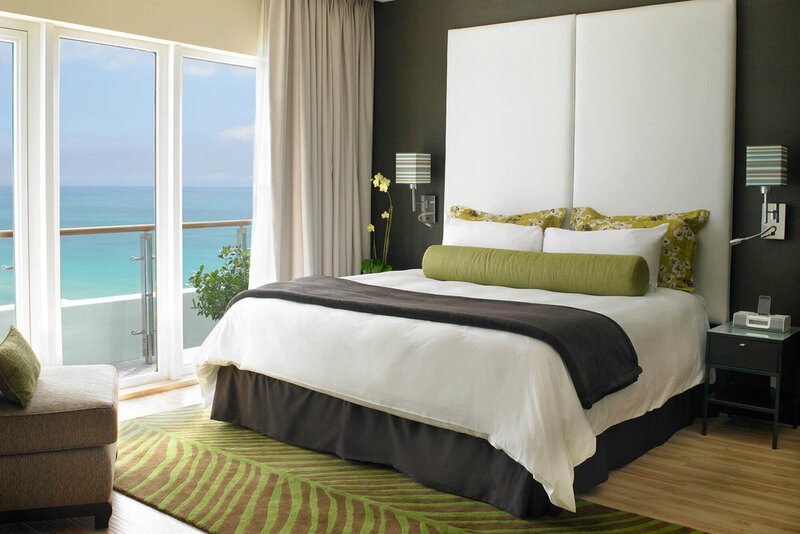 The rooms are very comfortable and tastefully decorated and I was lucky enough to have a beautiful view of the ocean. Also I'm one of those crazy people that can't stay in a hotel if it doesn't have a gym. Theirs is fully equipped with everything I needed and I also participated in one of their relaxing outdoor yoga sessions. They also offer running workshops along the beach (running is not my thing but I love a walk along the boardwalk). There are also a great range of spa treatments on offer to really make you feel relaxed and pampered.